Cosy and welcoming, the unit is clean and bright with a lovely fenced back garden safe for children with trees and flowers. Large flatscreen TV, WiFi, heat pump and airconditioner. Laundry with washing machine. Single garage. Fabulous large conservatory that catches the sun and "brings the outdoors in." From the lounge you can watch the world go by but retain your privacy. Pleasant outlook from back and front. Hamilton gardens (2014 International Garden of the Year) is only 1km (an easy walk) away, and 500 metres to a lovely river walk. A shopping centre with supermarket, various food outlets including Burger King, and other small shops 400m away. A short drive to city (5km), Waikato university (2.5km) and Waikato hospital (4km). Direct route to Cambridge (18 mins away) and to Mystery Creek Events Centre (8km away). The airport also is 8km away. 300m to the bus stop for either city or Cambridge. 7-night special, pay for 6 nights, get one night free. Please leave unit clean and tidy. Linen charge is good value as it includes nice clean beds all made up and welcoming for you. No fuss. Hamilton is very central to many North Island destinations, avoid the Auckland traffic congestion, and be central to most other central North Island locations, including Rotorua (1hr 15min away), Tauranga (1hr 15min away), Taupo 1.5 hrs, Matamata 38 minutes away, (for Hobbiton movie set), Raglan (46 mins), Mt Ngaruahoe (Mt Doom) and Tongariro National Park (Mordor and several other locations in Lord of the Rings), 2hr 45 min), Te Aroha (natural hot pools) 45min. Auckland is 1hr 30 mins away. Although this page is set up to accept credit card payments, if you prefer to do a bank transfer, please use the "enquire" button to request your booking and other payment options can be arranged. Please no parties or loud behaviour. Please respect my neighbours' peace, privacy and property. I bought this property to retire to. Nice size, close to my daughters place, nice garden, nice outlook, close to supermarket and bus stop for city. 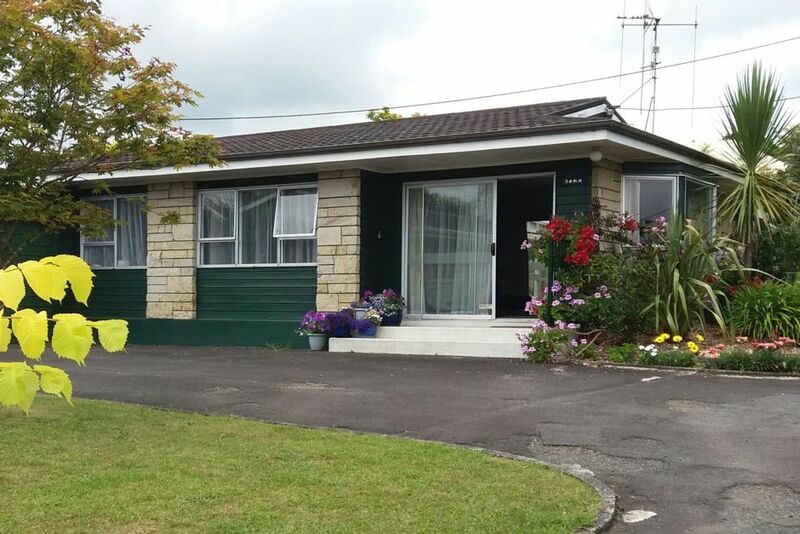 Walking distance to Hamilton Gardens, and riverside walks. Easy access to airport, university, hospital, hospice, city, Cambridge and about an hours drive from Rotorua, Tauranga, Matamata, Taupo.